Hi I have a point and line fc. I am using NeighborFinder to find nearest line from point. 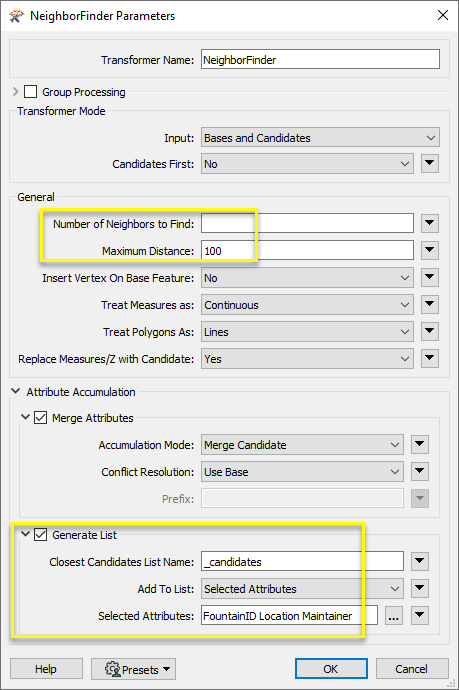 However when I compare the result with Near tool in ArcGIS, the nearest line obtained differs. I can see both lines are adjacent. Hard to say without more detail. The FME version should tell you how far away the nearest line is to the point. Can you get a similar measurement in ArcGIS to see which gives a smaller distance? If there are two lines that are exactly the same distance away, then I guess it might differ. But which one should get priority in that case? 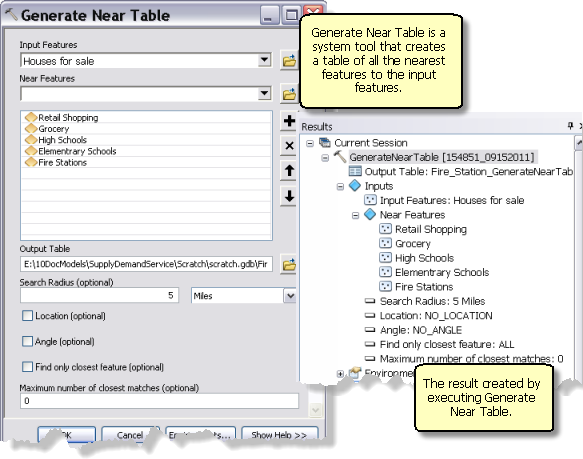 In fact, use the NeighborPairFinder and FME should tell you what the distance is to each of the lines, which will help to tell you why it chooses the one it does. If you can find evidence that FME is picking the wrong one, then please do post some sample and we can investigate further, and I can get a developer to investigate. Do you have the exact same specs in the two? Maximum distance per exemple.